While the news of the last week might be about the next 3-6 months in gaming (what with all the previews and announcements that were revealed during Gen Con), that's not to say you have to wait those 3-6 months before new stuff hits your tabletops. 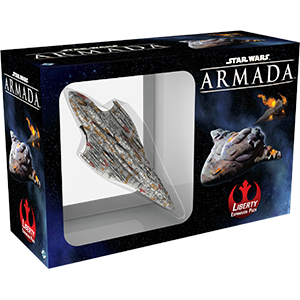 Fantasy Flight Games has released the latest wave of Star Wars: Armada miniatures (as well as a new release for NetRunner). 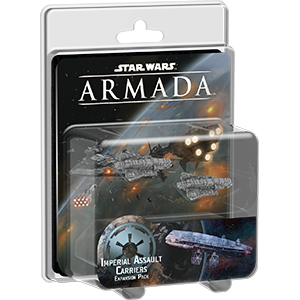 This new set of ships isn't really about the straight-forward firepower... except for maybe the Liberty. 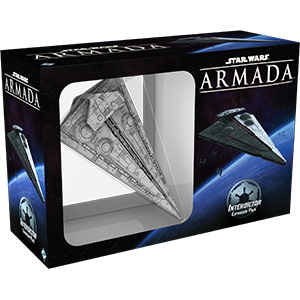 That one's specifically about straight-forward firepower (literally, since it has a really big front-arc attack), but the rest of the ships are about positioning, movement, and fleet support. 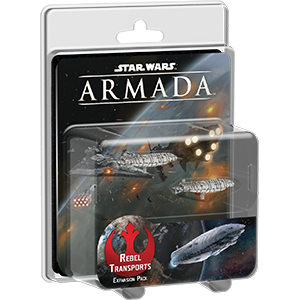 You've got the Interdictor, that will mess with your opponent's speeds and even their deployment, and then there's the Assault Carriers that will help out imperial fighter squadrons, and the Rebel Transport, that brings all sort of fleet support to the table. And for those that do play NetRunner (one of my favorite games in existence, even though I haven't played it in years), there's the new Blood Money data pack.